Tatar or plaque buildup is one of the scourges of anyone who has teeth, so everyone. 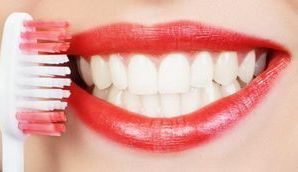 Dental cleanings are great (although expensive if you do not have insurance) and should be done every 6 months. But there are some things that you can do in-between cleanings to help reduce, soften and even dissolve the plague yourself. If you have to much build up in-between cleanings you may notice that your teeth become sensitive to things and it can make it hard to eat. Here are some interesting home remedies you might never have thought to use that can help take care of plaque at home. Salsa: As hot as you can take it. Foods that make your mouth water actually fight dental decay because, they stimulate the salivary glands, and all the extra saliva cleans your teeth and gums. Spoon: Brushing or scraping your tongue is an important part of your oral hygiene routine. It rids your mouth of bacteria and food particles, and it stimulates your salivary glands to work. Use a spoon to scrape from the back of the tongue to the front and repeat the action as much as you need to in order to clean the whole tongue. Taking these bacteria out of your mouth will help reduce plaque buildup. Apples: Munching on a raw apple an hour after a meal cleans the teeth and helps heal the gums. Cheese: You know that nasty bacteria that’s just waiting to take a whack at your tooth enamel? Cheese is their sworn enemy. First, it stimulates the salivary glands to clean the mouth. According to studies, just a few ounces of hard cheese eaten after a meal may protect against decay. There’s also evidence to suggest that fatty acids in cheese may have antibacterial properties. And finally, cheese proteins may actually coat and protect tooth enamel. Tea bag: Black tea contains fluoride that can suppress the growth of bacteria that cause decay and dental plaque, the sticky white film that forms on your teeth. Brew a strong cup of tea to make sure you get the fluoride and then use it as mouth rinse instead of drinking it.